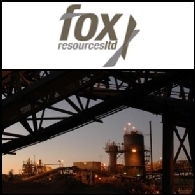 Fox Resources Limited (ASX: FXR) - Fox Signs Zinc Offtake Agreement with Sinosteel - Mr Don Harper, MD; Boardroomradio is pleased to announce that Fox Resources Limited (ASX: FXR) has published an audio file. 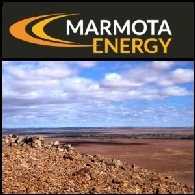 Fox Resources Limited (ASX: FXR) - Quarterly Report - Mr Don Harper, MD; Boardroomradio is pleased to announce that Fox Resources Limited (ASX: FXR) has published an audio file. 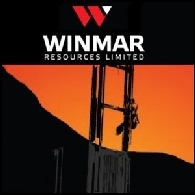 Fox Resources Limited LAST WEEK&apos;S HIGHLIGHTS; (ASX: FXR) - Drilling Success Continues at Ayshia & Resource Development Update - Mr Bruno Seneque, Executive Director; Boardroomradio is pleased to announce that Fox Resources Limited (ASX: FXR) has published an audio file. Fox Resources Limited (ASX: FXR) - Drilling Success Continues at Ayshia & Resource Development Update - Mr Bruno Seneque, Executive Director; Boardroomradio is pleased to announce that FOX RESOURCES LIMITED (ASX: FXR) has published an audio file. Fox Resources visits the Jinchuan Group Ltd in China and is commended for performance delivery on nickel and copper concentrates. A Fox Resources Limited team, lead by Mr. Don Harper, Managing Director, has completed a successful visit to Jinchuan Group Ltd (Jinchuan), the buyer of Fox!|s nickel and copper concentrates.